Caravan or RV, were the first customers of photovoltaic solar panels. The need for energy anywhere made many owners of these vehicles opt for installing a solar panel on the roof of their vehicles or take them for energy wherever decided to stop. The reason is clear, solar photovoltaic energy independence and simplicity of these devices makes them suitable for any user. Needless to say that when the pioneers of solar energy began to benefit from the advantages of solar panels supply was much lower. Few manufacturers, few places where you buy them and much higher than current prices. Currently the offer is very extensive, both models of cheap solar panels, as in the other essential element that acquired at the same time, the regulator or solar charger. Without going into the election of battery storage system that we have, for the caravans usually have it, we will describe how we choose the model we are interested in solar panel and regulator associated with this. If we were to acquire a storage system, the best option is maintenance-free batteries GEL or AGM, because in general they do not need ventilation and are safer to transport. 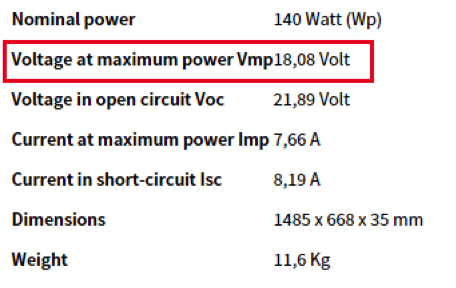 Back to the topic at hand, from what we have storage voltage, usually this will be 12V or 24V. Most regulators can work with both voltages and is generally the same regulatory or solar charger which adjusts itself to that voltage. But keep in mind that a conventional voltage regulator will limit what we can regulate it. Conventional solar charger, usually with PWM technology. We will not go now describe the PWM technology, but more control algorithm used in solar regulators. This type of conventional solar charger requires that the voltage of the solar panel is suitable for the battery. That is, to charge 12V batteries with a conventional solar controller need a solar panel 12V (although we will see that they are actually something else). Therefore, if we choose this type of solar charger we are forced to choose a particular type of photovoltaic solar module. MPPT Solar Charger, named because of using MPPT technology. The MPPT technology is more efficient than PWM algorithm, so it can take more power, although they are logically more expensive. To find out which module can be installed with each regulator must see if its characteristics which maximum voltage and current (or power, according come indicated) supports, thus ensuring that the characteristics of the module or modules chosen below these maxima. That is why the MPPT solar controllers allow us to connect any type of module with batteries, although a priori not sum the voltages between solar panel and battery. What follows is an example of choice with both types of regulators to make it clear how we choose our solar panel. For installations isolated solar panel voltage has to be 50% higher than the batteries to charge them. Par facilities 12V voltage panel (Vmp) will be about 18V, and 24V battery installations voltage will be about 36V solar panel. Thus we have chosen our solar panel. We will check if its dimensions add up us where we want to use. If we stick to the roof the cheapest option is paste. Not all the silicones are valid not need a from cracking with the sun and heat resistant. The best option is the MS polymer, once glued in place need to start it to release. This polymer can be easily purchased at any DIY retailers or construction. You can choose to paste guides and fix the panel with some stops. This option will allow us to change the panel if they were necessary. Prepared accessories sold for some models of solar modules. This can also be a good choice. Chosen as the appropriate solar panel to our desired voltage and power we have to choose a regulator or solar charger suitable. We have already spoken at some other point in the function of this device but fits remember that their primary mission is to protect the battery against overload and maximize the power we can get the solar panel. If we connect a solar panel directly to the battery it is likely that we charge us batteries. That said remains to determine a suitable solar controller for our panel. We know this is 12V and power is 140W, we will know the maximum current that can generate to know what model is not suitable regulator. Of the two currents that appear as features (Imp, intensity of maximum power, and Icc, short-circuit) always choose the larger, more security. Therefore we need a regulator that allows us to connect at least 8.19 A (amps). 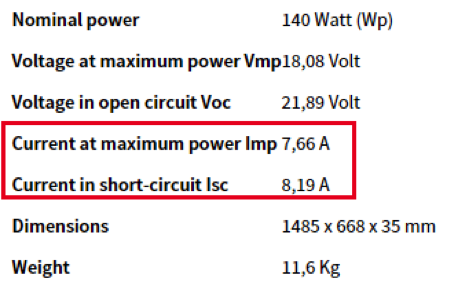 Section regulators, we choose one that meets this constraint, for example rregulators 10A suitable for 12V and 24V us would suffice. We can now connect all the elements of our solar kit; solar panel selected, the chosen solar charger and our batteries. We conducted our own portable system with conventional solar charger. Following the example with conventional regulator see how we would choose if we used a solar module MPPT solar charger. To start this type of solar regulators we do not condition the voltage module a priori, so that we can choose any module. Then choose a suitable controller for this solar panel. For that we need to know what voltage battery use. Let's say we want to feed a battery pack 24V. As first way we can search from amperage controller. As in the example above we find a regulator with a greater intensity than the module (greater than 8.81 A for this case). Consider for example the following 10A MPPT solar controller. The load current is enough, because we need that is greater than 8.81 A, so the 10A that supports the regulator we meet. We look now if we meet in voltage. Solar charger 150 V supports us and our solar panel is 37.6 V, so this parameter also met. It remains to ascertain whether the total power also supports us. In this scenario supports 260W Solar Charger for 24V mode, and our solar panel is 250W. 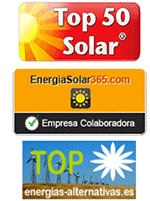 Proven suitability have finished choosing models of the solar panel and solar charger. We can already connect the solar kit; Solar Controller with the panel chosen by side. And on the other hand our batteries to solar controller, ending the connection of complete solar kit. The proposed example helps us to see that in small facilities, which can be performed in a caravan, is simpler choice of a conventional controller. The chargers or MPPT solar controller technology are more suitable for larger installations.